This week, the New York Senate passed a bill that allows abortion up to birth in a 38-24 vote. The Reproductive Health Act (RHA) was then signed into law by New York Gov. Andrew Cuomo (D) on Jan. 22, the 46th anniversary of Roe v. Wade. What was hailed as a pro-choice victory from many on the left, including abortion giant Planned Parenthood, received pushback from those on the pro-life side of the argument. Among the heartbroken were many Christian worship singers who took to social media to denounce the decision. “If I had been murdered at this point of my pregnancy, the person who killed me would be charged with her death also, because there are two people in this photo,” she added. WARNING: Upsetting content. Not for kids to read please. ⚠️ Rooney was in here. She could hear everything. She knew my voice, my heartbeat. She could dream, yawn and cry. She could feel pain. She was a person. If I had been murdered at this point of my pregnancy, the person who killed me would be charged with her death also, because there are two people in this photo. Yet – if this was me in 2019 in New York from this week on, I would be within my rights to go into a clinic and have a toxic substance injected into her skull, where she would then writhe in agony as she died a horrific and possibly prolonged death. I would then deliver her corpse. Not a cluster of cells – a fully formed child. If you’ve been following me for longer than 5 seconds you know I’m heavily pro-women and pro-women’s rights. I always have been and always will be. I have deep empathy for every woman who finds herself in an impossible situation and feels her options are limited, and I pray that the Church would become known as an empathetic and embracing community where people could turn knowing they will be loved and supported without judgment. I hope that we can expand the options and support networks that women have (i.e. maternity leave, subsidised childcare, subsidised adoption, fully subsidised contraception, community-based parenting support etc.) But what happened in New York this week is something different. You can call what Cuomo passed in New York this week what you want – but don’t call it an expansion of rights and freedoms. It is a horror. “Yet – if this was me in 2019 in New York from this week on, I would be within my rights to go into a clinic and have a toxic substance injected into her skull, where she would then writhe in agony as she died a horrific and possibly prolonged death. I would then deliver her corpse. Not a cluster of cells – a fully formed child,” she wrote. Jenn Johnson, of Bethel music, also took to Instagram to share her heartbreaking sentiments on the New York abortion law. Johnson shared a screenshot from a column by Matt Walsh, in which he pointed out that murders cannot get the lethal injection in New York, but innocent babies can. 🔥💪🏼2 Chronicles 7:14 Let’s go. Now is the time to pray not fear. Tauren Wells, a Christian artist from Lakewood Church, shared a photo of Governor Cuomo signing the bill into law and smiling. “The spirit of Herod is still alive in our age,” Wells wrote. The spirit of Herod is still alive in our age. Still seeking to take the lives of the innocent. It’s time for the church and anyone with a conscience to SOUND OFF and PRAY and VOTE. One of the worst days in American history. – New York is now legalizing abortions up to the due date of the child. As well as allowing non-doctors to perform the procedure. In light of New York’s new law allowing abortion up to birth, there are a few Bible verses that we can cling to, as reminders of what is right. Proverbs 31:8-9 reminds us to stand up for those that cannot stand up for themselves. “Open your mouth for the mute, for the rights of all who are destitute. Open your mouth, judge righteously, defend the rights of the poor and needy,” it reads. 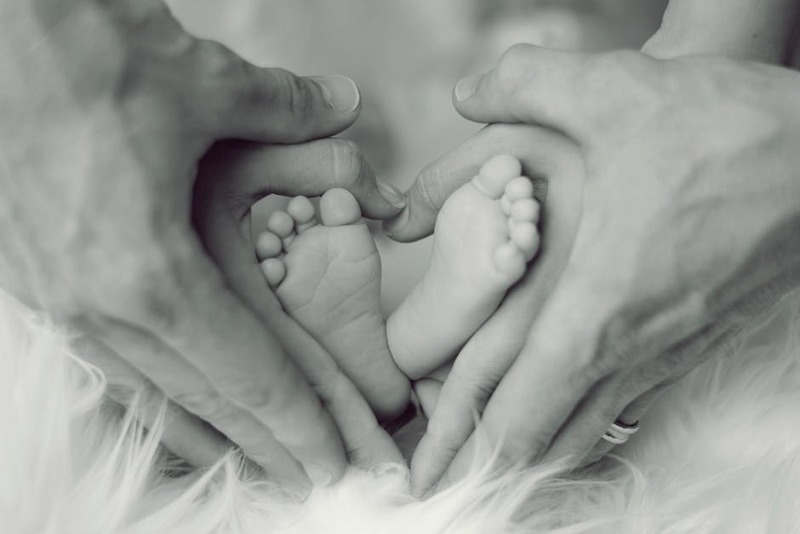 Be reminded of the sanctity of life, that the Lord knits each and every human together in their mothers’ wombs. “For you formed my inward parts; you knitted me together in my mother’s womb. I praise you, for I am fearfully and wonderfully made. Wonderful are your works; my soul knows it very well,” reads Psalm 139:13-14. Lastly, pray for the unborn. “Behold, children are a heritage from the Lord, the fruit of the womb a reward,” reads Psalm 127:3.